Huzzah, you are ENGAGED!! and I am so excited that you are here! 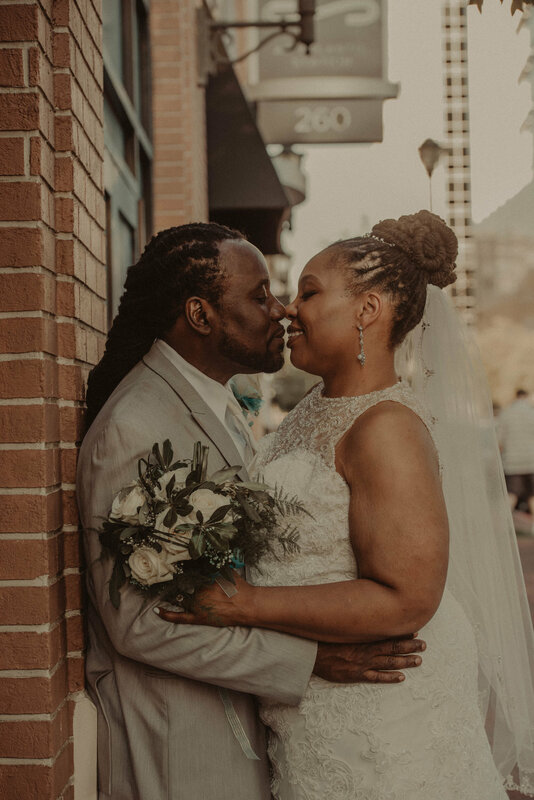 Let’s talk wedding photos! Capturing emotions and moments are my most favorite things in the world, especially those in-between moments! Now that you are here, I want you to know what I am about. I want to give you more than just photos! We will definitely get the traditional wedding photos but ultimately this day is about the celebration of your love. I want to do more than just sneak off for 5 minutes for bridal portraits. I want to take you away and allow you to step back, breathe and soak in everything about your day because it goes by more quickly than you realize. I want to give you moments..moments you forgot about and moments you never want to forget! And that’s why I am really here.. so that the next morning you wake up and you realize that the day was a whirlwind, you will at least have these amazing photos to look at and relive the moments and feel the feels. I want to give you a one of kind experience! Hey girl hey!! I would love to chat with you and find out more about your love story and your wedding. Please fill out the form and I will be in touch with you within 24 hours! Thank you for contacting me. If you don’t hear from me right away, then there is a good chance I am out shooting something but you I will get back to you within the next 24 hours! In the meantime you can hang out on my Insta or my blog. I look forward to chatting more about your special day! Find out what other people are saying about us!! Ruzin is absolutely amazing. Her professionalism is through the roof. I felt like she was really invested in our wedding day and making sure our pictures looked beautiful. I had so much fun with her and wish I could've spent more time just getting to know her. Our engagement photos turned out beautifully and I cannot wait to see the wedding photos. I would recommend her again and again to everyone getting married in the Atlanta area. Ruzin was kind enough to be flexible when the weather was very unpredictable, and then she made our engagement shoot feel easy and fun. My fiance and I had our engagement photos taken November 2017 in Austin, TX and we couldn't be happier for how they turned out! This was our first photo shoot ever and were nervous about feeling awkward in front of the camera. However, Ruzin made the experience fun and comfortable. The photos came out so nice and will be choosing a few for our save the dates. Ruzin was awesome! She was so helpful and flexible for my special day. She is very creative and I could not have asked for a better wedding photographer than her! My wedding photos turned out so good!